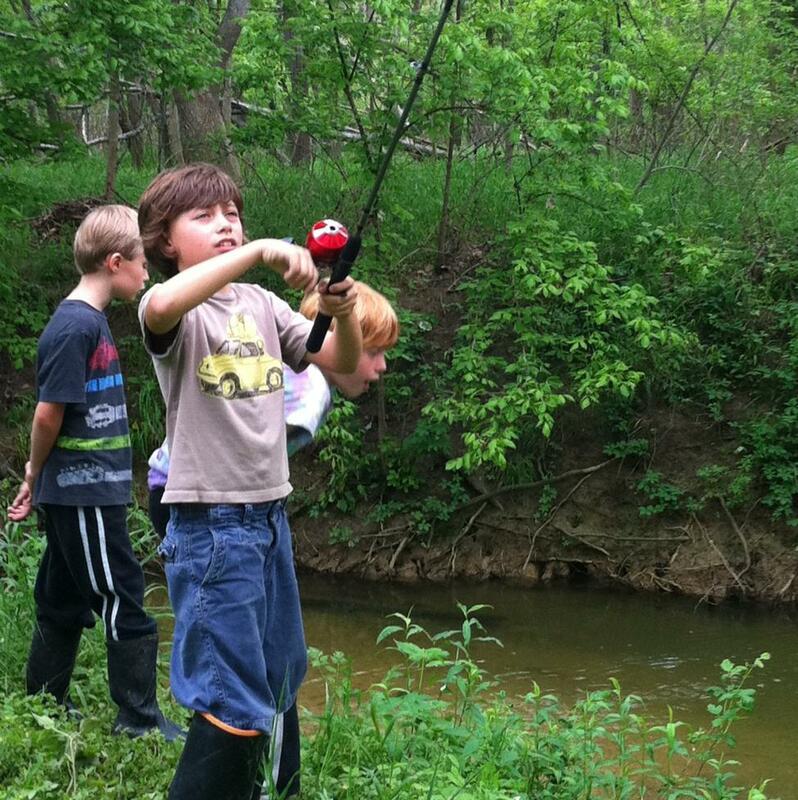 Fishing and observing wildlife in the creek are some of the calming and centering activities available to children at the Inside Outside School. With our younger elementary students, learning to regain composure is an ongoing big issue. We have many things in place to help them with this, like safe places where students can go when they are angry, sad, or overly frustrated. We have a zen garden box where students can rake sand and arrange stones. We have a great big dirt pile with shovels. We teach breathing exercises, calming activities such as squeezing a pillow and tapping shoulders with crossed arms, and conflict resolution scripting for being at “the equator” (an imaginary line either side of which children in conflict can stand to work toward a resolution without having an adult swoop in to fix it for them). We have mediation-trained older students who help out when the equator is not enough. 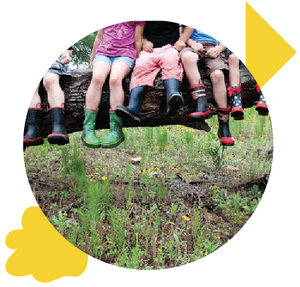 We have acres of calm green woods, a bubbling creek, gardens, chickens, and hands-on classes where kids get to make things like herbal salve to put on fire ant bites, quilts, slit drums, boats, and apple pies. Above all, we have no tests and no homework. And we still have the daily drama. It's a mystery. There are myriad circumstances that activate the fight-or-flight response, which seems to fuel the drama. Norepinephrine, a neurotransmitter, is released when the inner alarm system is triggered. Sometimes a child will feel a threat to his or her safety, esteem, or position of power, or maybe perceive a threat where there is none. Once activated, the response can seem violent or inappropriate. Things that seem minor to adults take on major proportions in the life of a child. So working on interaction as a dimension of human greatness requires looking at the children with loving eyes, knowing that each one is complicated and that even when they act out, do hurtful things to their friends, and push every one of our buttons, they are simply trying to get their needs for power, approval, and security met—needs we all have. A Japanese proverb says, “Fall down seven times, get up eight.” This speaks to resilience. Our effort at the Inside Outside School is to help children learn strategies for getting back up again, learn how to help those who have fallen, learn when it is best to give others space to feel what they are feeling about having fallen down, and, ultimately, to care deeply about the well-being of each member of our community.